The New Reality Foundation, Inc.
Gumbo for the Soul: The Recipe for Literacy in the Black Community Anthology (2007) Quiet Persistence by Raye Mitchell. Editor Beverly Johnson. Sister to Sister: Guide for African American Girls. (2011) Lights, Camera Action Be the Director of Your Destiny by Raye Mitchell. Editor Linda Ellis Eastman. How to achieve effective diversity leadership in philanthropy, innovation, technology, law, business and the entertainment sectors. How to be an effective leader that commands respect. How to break through clutter to be heard. Building your brand and platform. Own the room. How to be an effective public speaker & influencer. Living the dream. Faith, redemption and restoration in overcoming setbacks. How to break into the business side of the entertainment industry. 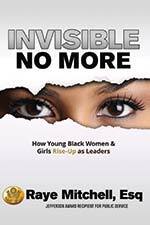 Radical thinking in supporting young women and girls of color as global leaders.Carla Blacker considers herself first and foremost a spiritual being having a human experience for God, Creator Source. I focus on accelerating access to and opportunities for women and girls of color to be empowered as current and future global leaders, she works to meet the unmet needs of the millions of millennial women and women and girls of color who seek inclusion and fresh thinking from a vantage point that reflects their own life experiences. I believe in the positive power of redemption, and faith in helping women and girls recover from setbacks and disappoints to rebuild, restore and lead forward. Dr. Mitchell is a passionate philanthropist and the recipient of numerous awards, including the prestigious Jefferson Award, the Nobel Prize for Public Service, the Lizzie Glide Woman of Vision Award in October, 2014 from the Mary Elizabeth Inn, celebrating their centennial anniversary and founded by Lizzie Glide, a turn of the century philanthropist concerned for women, is a ?safe house? for courageous women escaping homelessness as they struggle to reset their lives disrupted by domestic violence. The Charles Houston Bar Association honored Dr. Mitchell with the Benjamin Travis Community Service Award and KQED/Wells Fargo Bank Public Media Women?s History Month Local Hero, the Women?s Initiative for Self-Employment?s 2011 Woman Entrepreneur of the Year. A native of Los Angeles, California, Dr. Mitchell attended school at Los Angeles High School before being selected by the University of Southern California (USC) as 1 of only 20 qualified applicants worldwide to enter the highly competitive and prestigious Resident Honors Program for early admission to USC. She then earned a Bachelor of Science in public policy from the University of Southern California Sol Price School of Public Policy, an MBA from USC Marshall School of Business, and a JD from Harvard Law School. 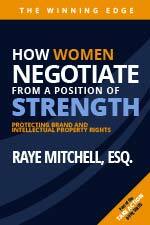 Dr. Mitchell?s professional experience includes working at such prestigious corporations as General Mills, RJR Nabisco, the Gillette Company, and the Colgate Palmolive Company prior to her leaving to attend Harvard Law School. Dr. Mitchell is relentless in her pursuit of innovative solutions to some of the most persistent and consistent social, economic and attitudinal issues holding women and girls, especially women and girls of color back from being recognized for their invaluable contributions to our global community as leaders, game changers and contributors to innovation. She writes fiction works under the character line of www.TheHarvardLitigator.com to raise awareness about important issues about women and girls. The proceeds benefit the New Reality Foundation.